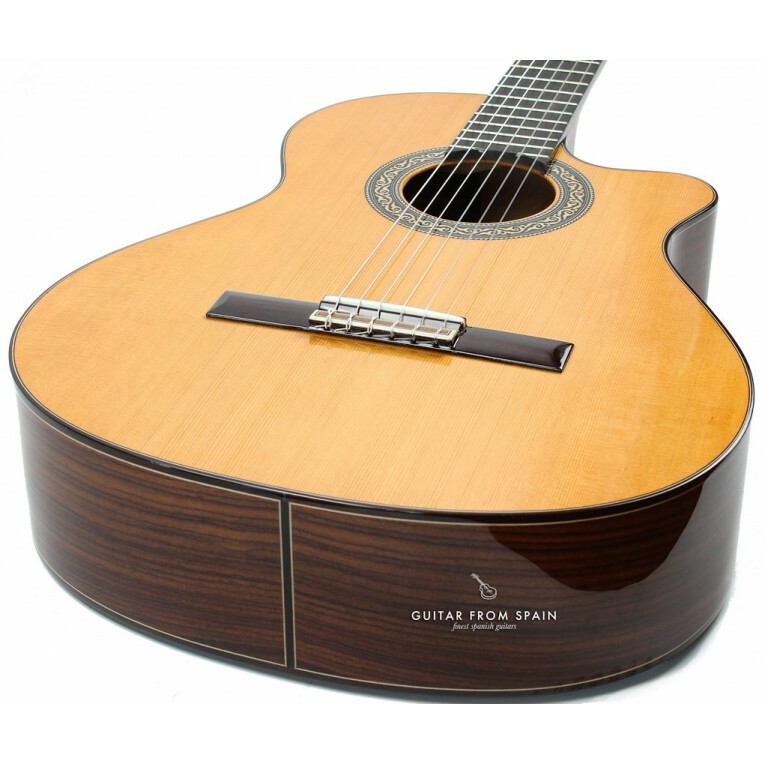 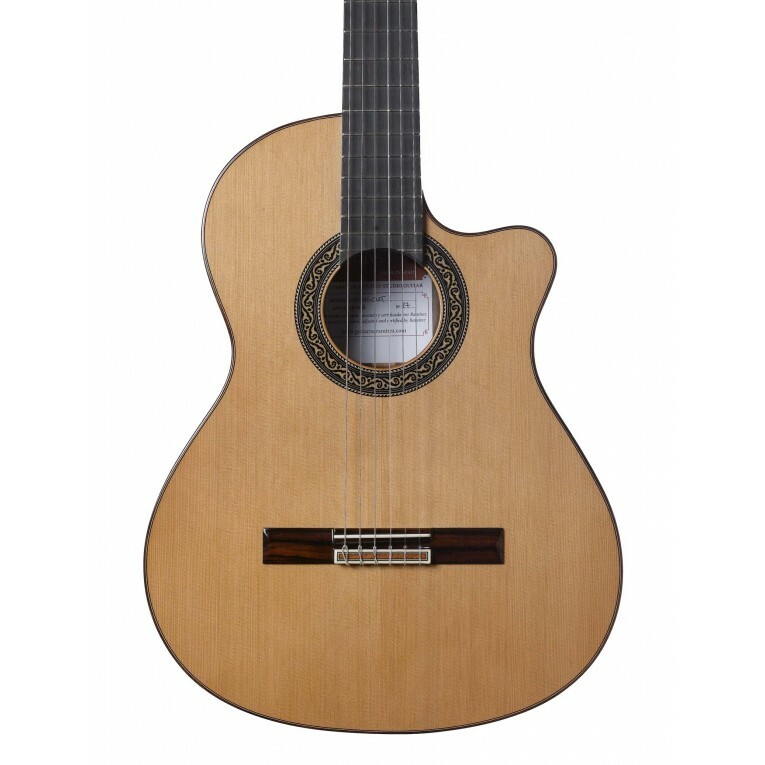 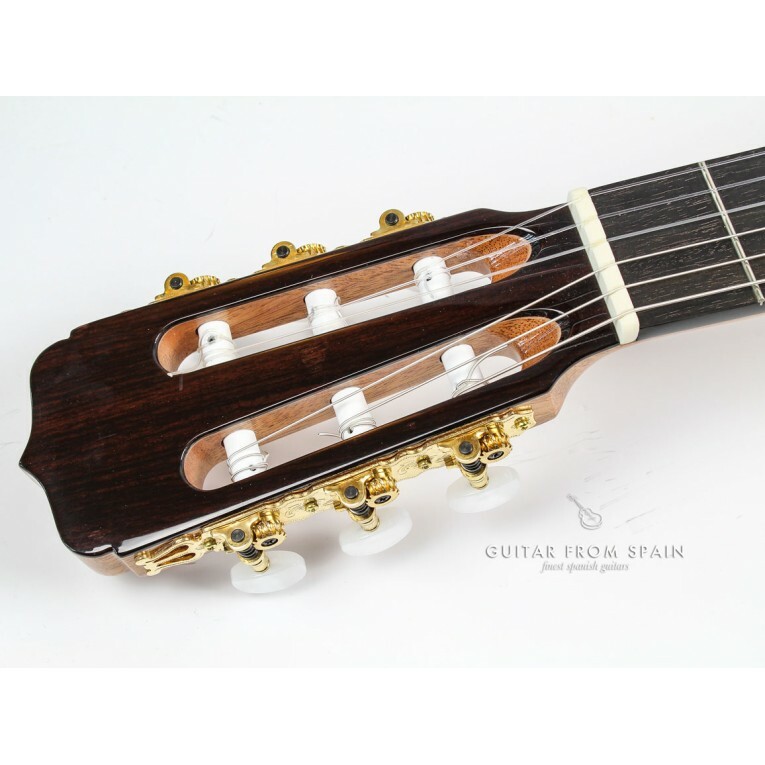 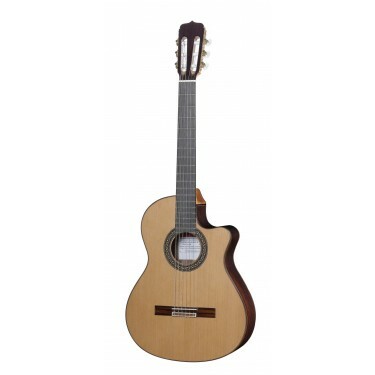 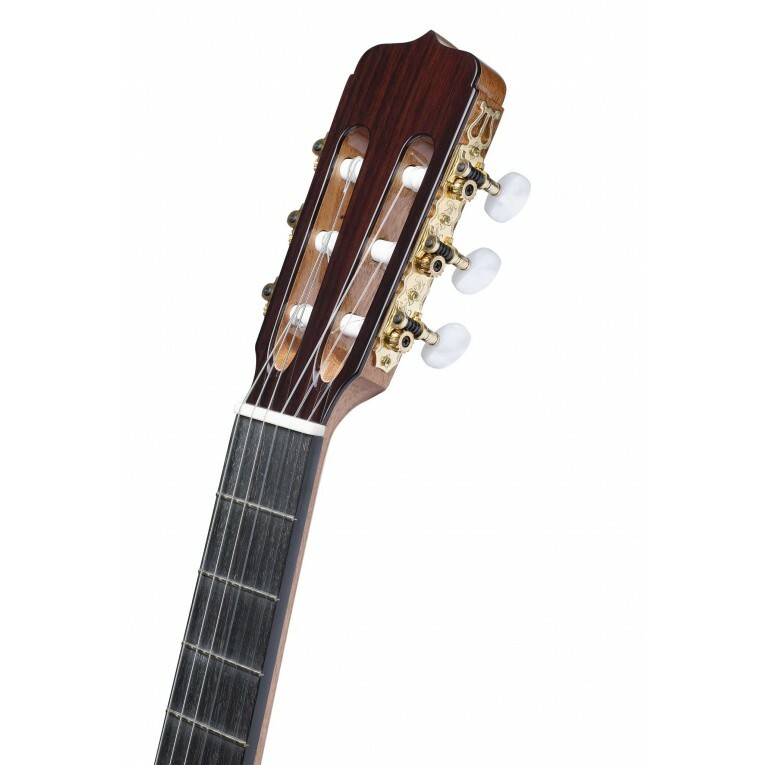 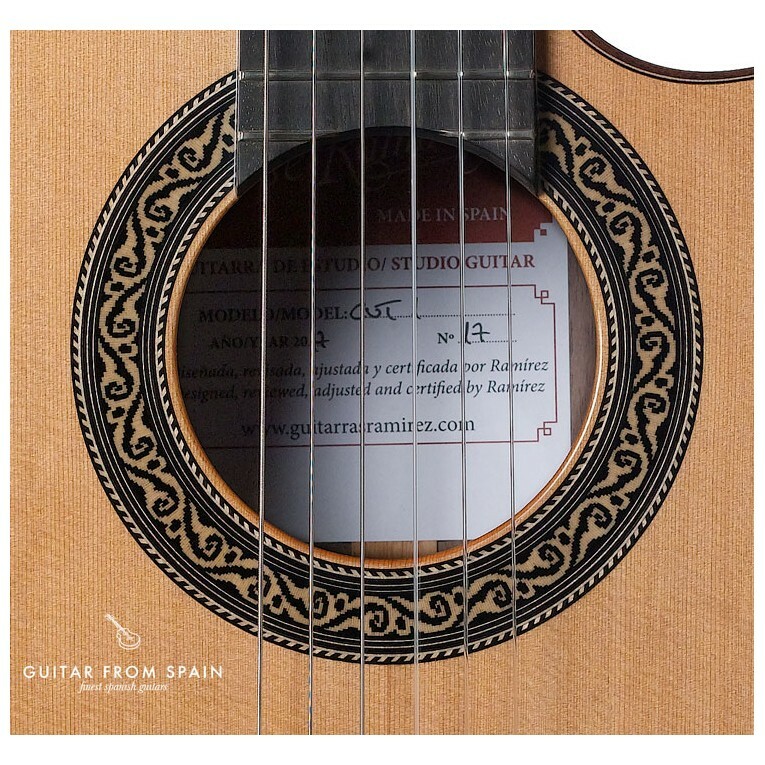 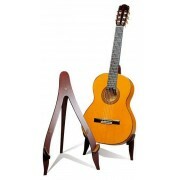 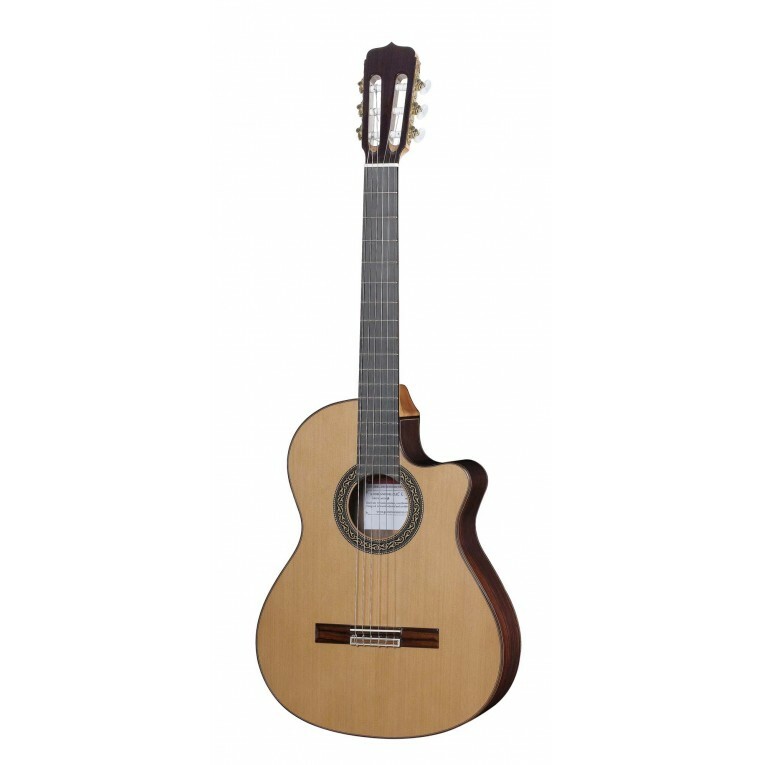 The Ramirez CUT 1 is a cutaway classical guitar from the new Ramirez Studio Line. 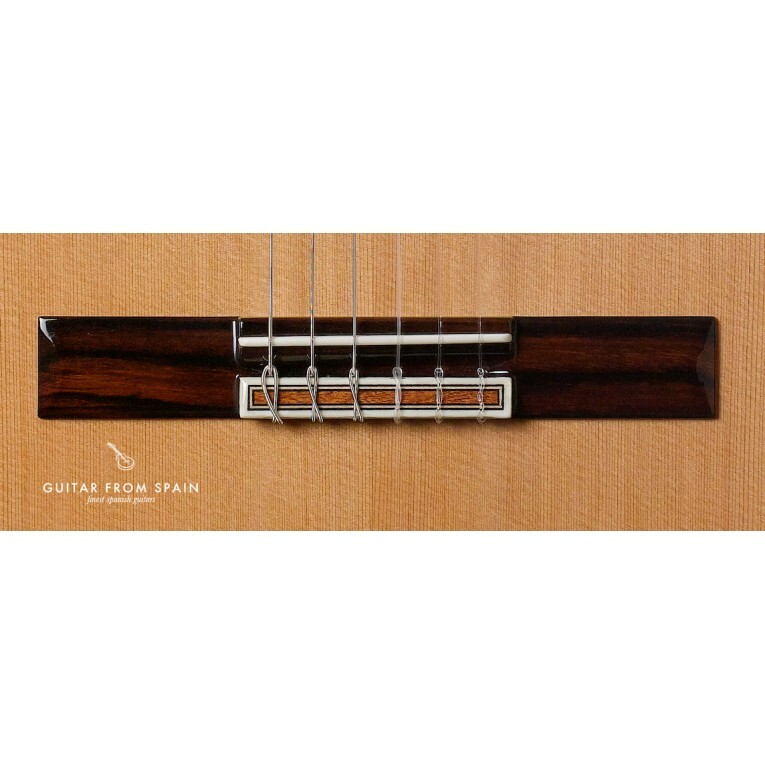 All solid woods in the entire line with improved internal design for more volume and projection are some of the key points of this redesigned Ramirez Studio Line of guitars. 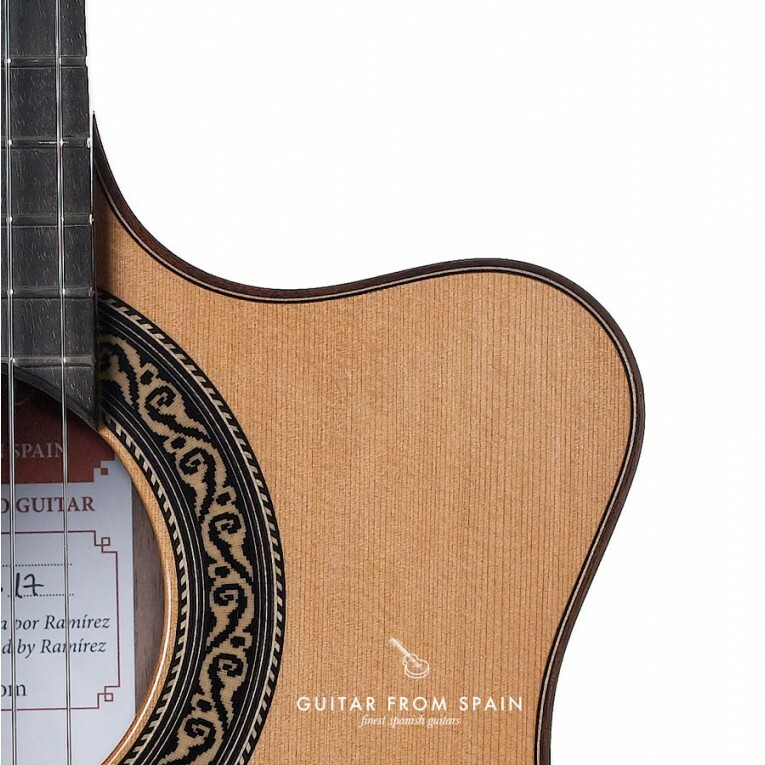 The new headstock along with the new rosette are the first visual characteristics of the new Studio Line and they are designed by Amalia Ramirez, but the improved sound and overall quality of the new template are the main points in this new line of guitars. 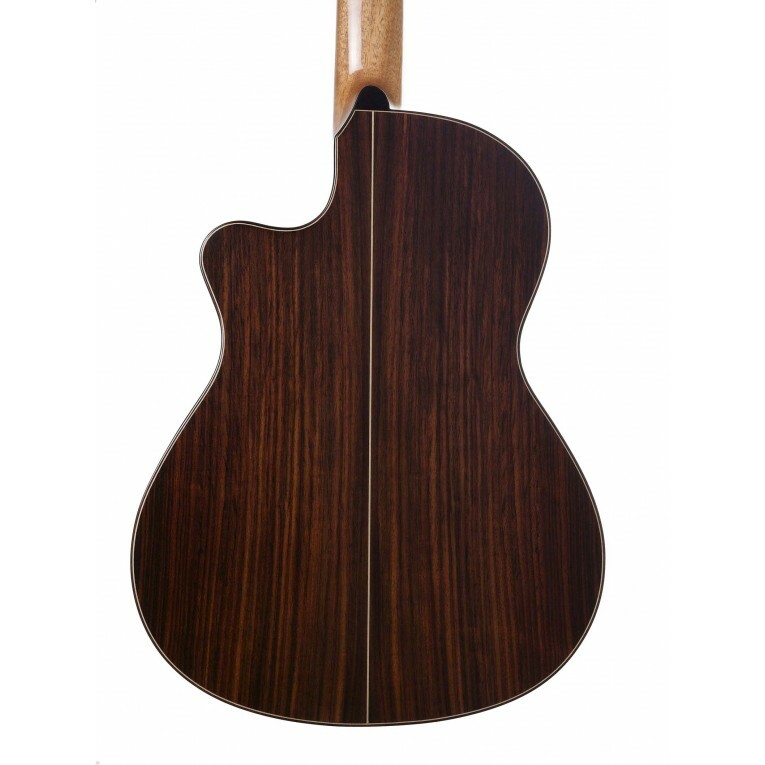 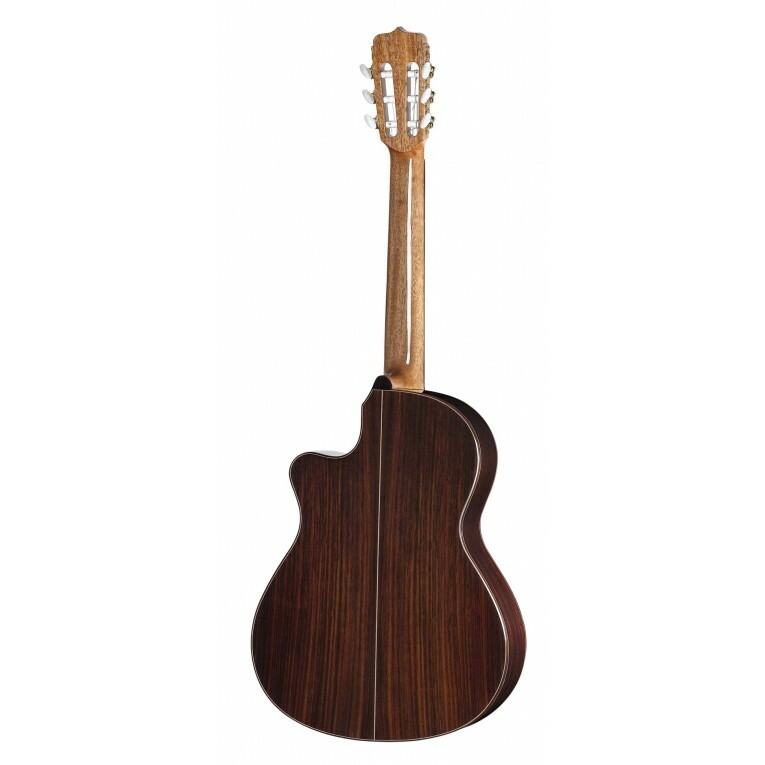 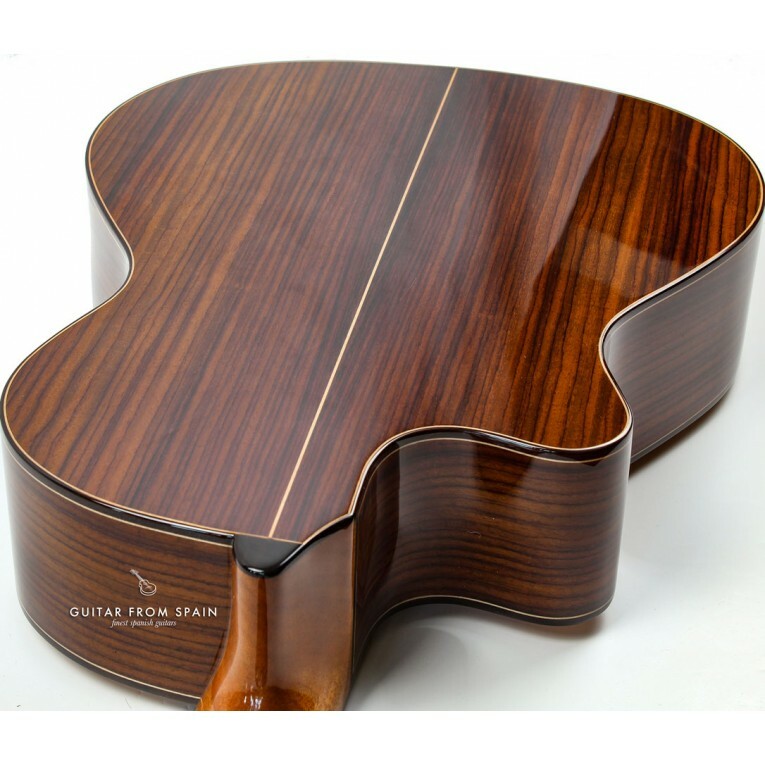 The guitar Ramirez CUT 1 is build with a solid cedar top, solid Indian rosewood back and sides and ebony fretboard. 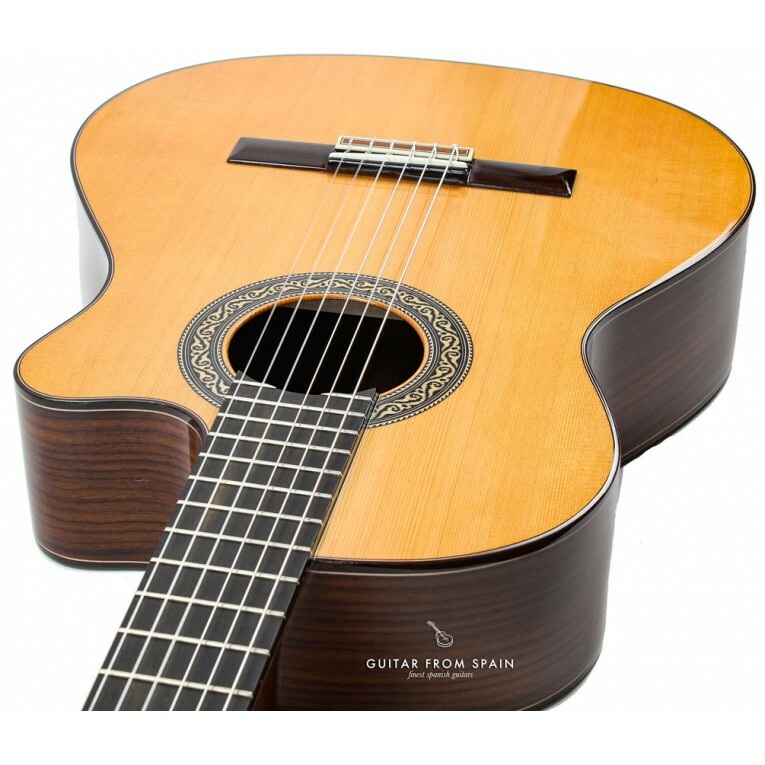 A great guitar for the performing musician. 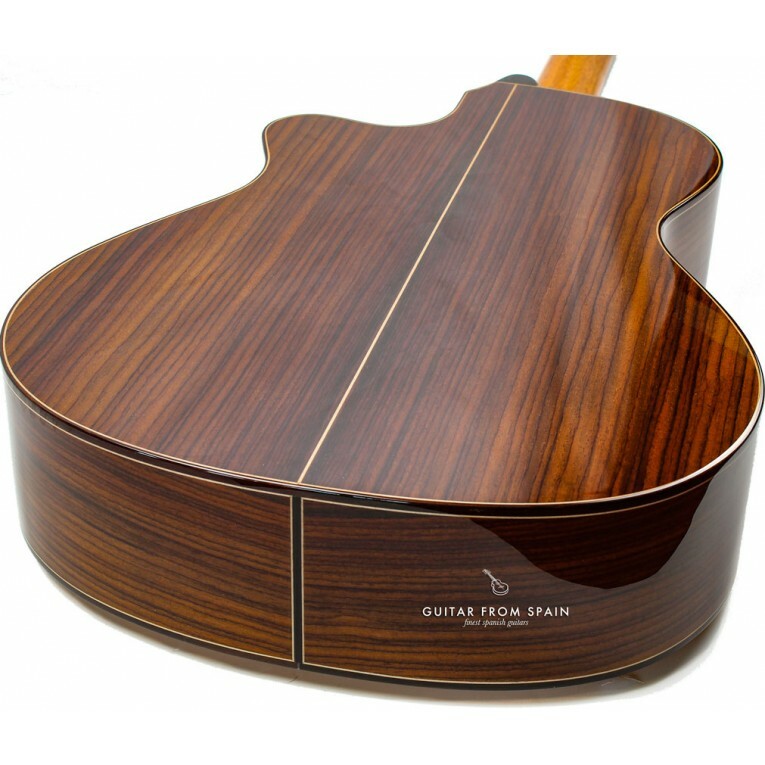 Available with or without electrification. 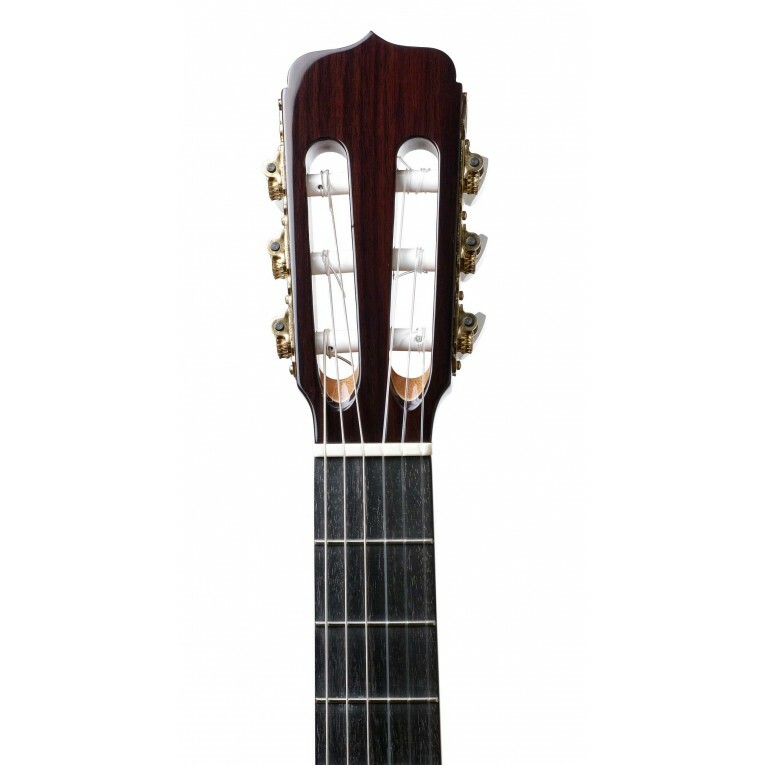 See the options tab to choose your electrification system.